Home » Central Government Jobs » Govt Jobs » Govt Jobs 2015 » Jobs for Scouts & Guides Quota » Jobs in Arunachal Pradesh » Jobs in East Coast Railway » Jobs in orissa » Railway Jobs 2015. 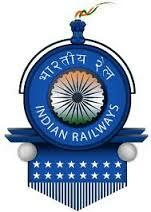 » Scouts & Guides quota jobs in East Coast Railway in Arunachal Pradesh, Orissa. Scouts & Guides quota jobs in East Coast Railway in Arunachal Pradesh, Orissa. Qualification : 12th (+2 stage) or its equivalent examination with not less than 50% marks in the aggregate. (50% marks in the aggregate will be required for NTPC categories. 50% marks are not mandatory for SC/ST/Ex-servicemen candidates.) Pass in Matriculation or its equivalent from a recognized Board and having ITI certificate may also apply to be posted as Tech-III. Qualification : Matriculation or ITI or its equivalent from a recognized Board. ECoRHqs : The Assistant Personnel Officer(Recruitment), 2nd Floor, South Block, Rail Sadan, PO-Mancheswar, Bhubaneswar, Odisha – 751017. KUR : The Sr.Divisional Personnel Officer, East Coast Railway, Khurda Road Division, PoJatni, Distt-Khurda, Odisha – 752050. SBP : The Sr. Divisional Personnel Officer, East Coast Railway, Sambalpur Division, Po-Modipara, Sambalpur, Odisha – 768002. WAT : The Divisional Personnel Officer, East Coast Railway, Waltair Division, Po-Dondaparthy, Visakhapatnam, Andhra Pradesh – 530004. Labels: Central Government Jobs , Govt Jobs , Govt Jobs 2015 , Jobs for Scouts & Guides Quota , Jobs in Arunachal Pradesh , Jobs in East Coast Railway , Jobs in orissa , Railway Jobs 2015.